ITMA is the world’s largest international textile machinery exhibition, an event which is owned by CEMATEX. ITMA is recognised as the ‘Olympics’ of the textile machinery industry – a showcase of the latest technology and a vital meeting place for buyers and sellers from all over the world. TMAS, is though the membership in CEMATEX, co- owner of ITMA. In 1999 CEMATEX made the decision to launch an event which catered to the growing needs of Asian textile manufacturers which represent a significant percentage of its association members’ buyers. In 2001, ITMA Asia was born in Singapore and since then ITMA Asia has been held every two years in collaboration with three Chinese partners, CTMA, CCPITTEX and CIEC. 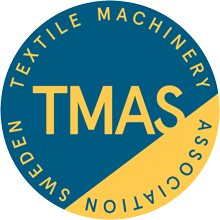 The next ITMA in Europe takes place in Barchelona, Spain, from 20 to 26 June 2019.